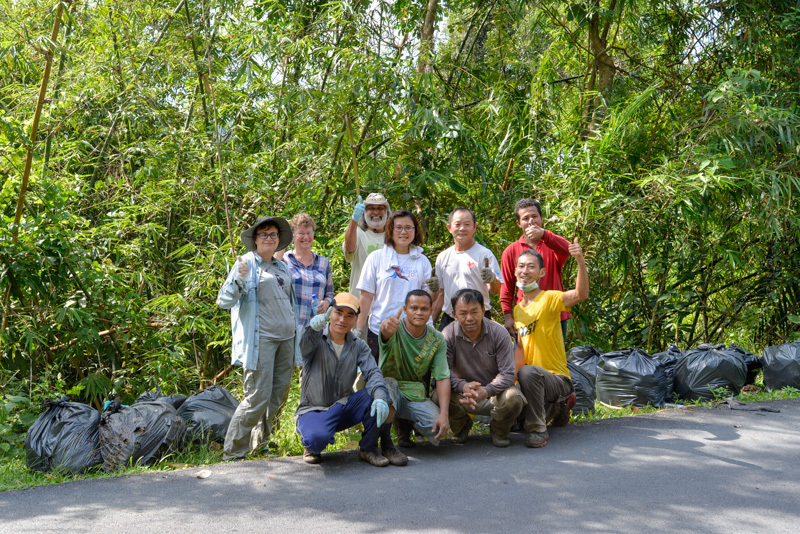 Five households from Pantai Hills joined together this morning to clean garbage from the banks of the river just below the orang asli village at Batu Satu. Unscrupulous people have been throwing sacks of rubbish down a steep bank only a few feet from the river. 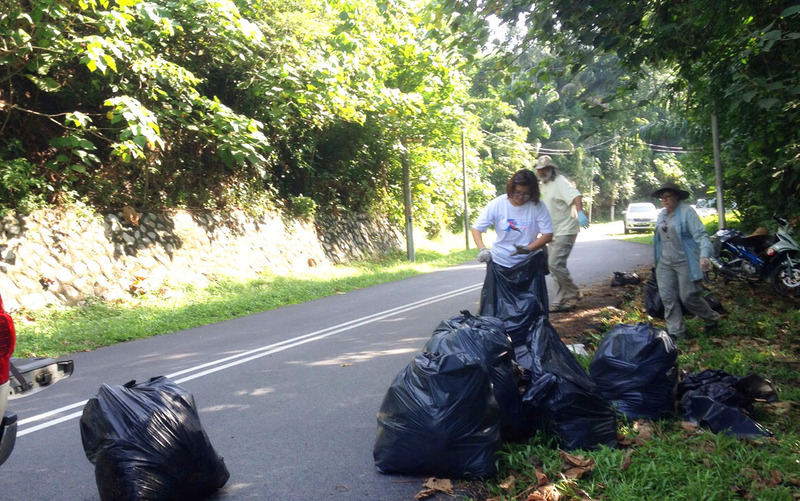 Earlier, another household filled six bags with garbage thrown into the forest reserve closer to the Pantai Hills gate. 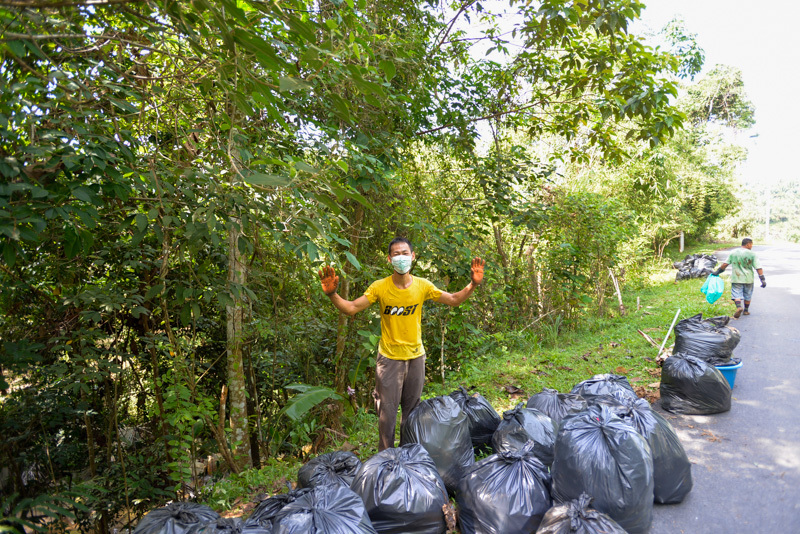 The group retrieved at least 50 large sacks of household garbage – food, pampers, clothing, cans, plastic and bottles – and sent them for proper disposal at the bin behind the Pantai shops. This was done with the approval of the Ketua Kampung in Pantai. It was hard and dirty work and is by no means finished as a half kilometer section of the river bank has been polluted by dumpers. 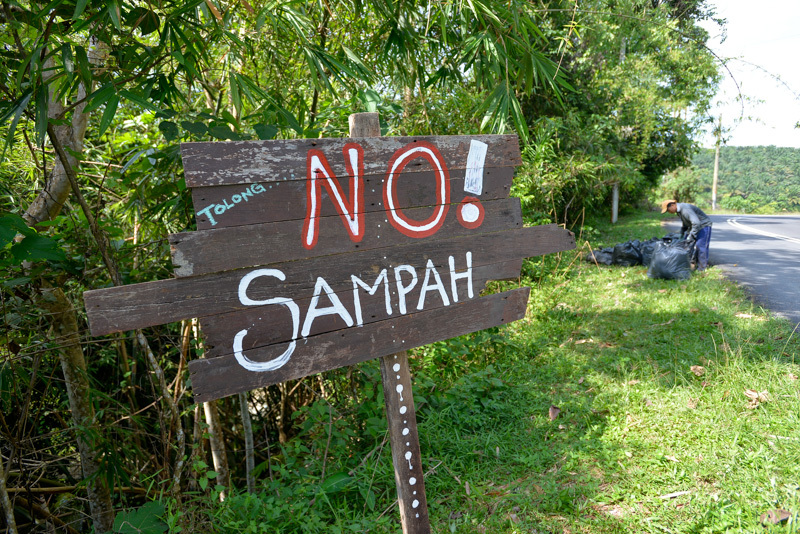 The finger is pointed at some smallholders in the area, a few Pantai residents who do not want to pay for garbage collection – and some residents of Pantai Hills Resort itself. The group put up signs saying “No” to garbage. 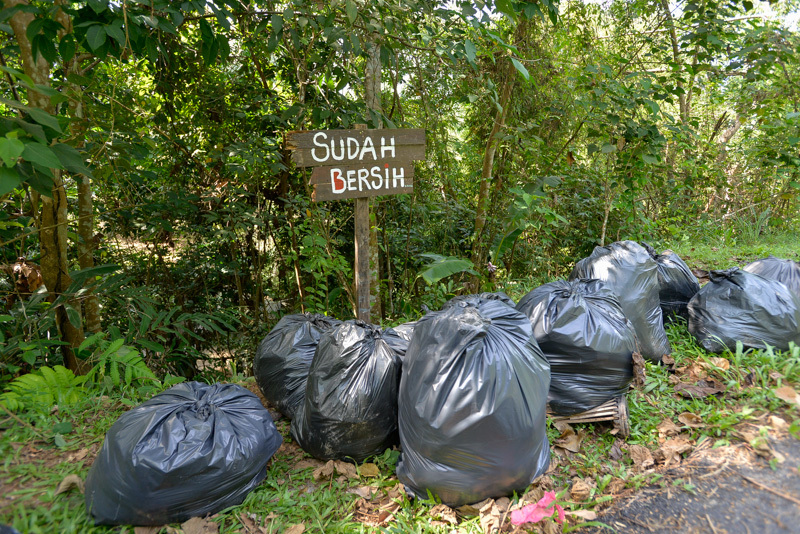 An application has been made to the municipal authorities to provide a bin near to Batu Satu for the use of all residents living along the road to the Loji Air. In the meantime, they intend to report any further dumping to the police and the municipal authorities. 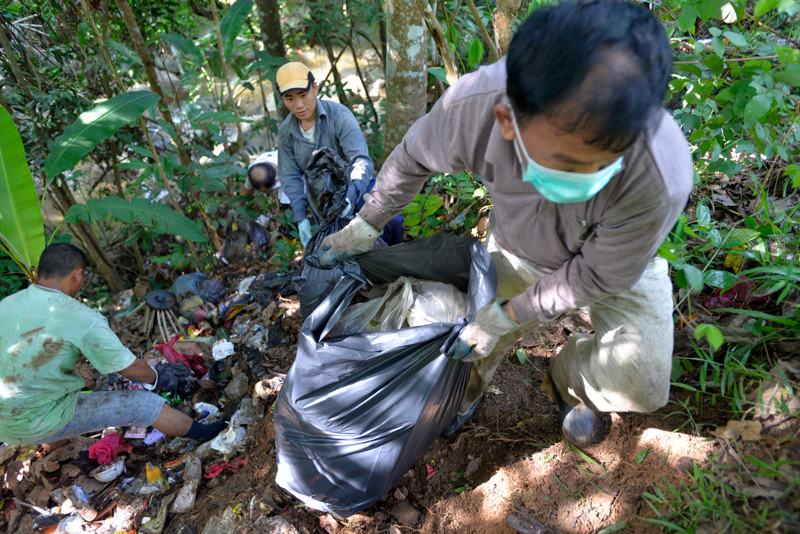 Several residents have seen staff from The Shorea throwing bags of garbage down the river bank and into the forest fringe at the roadside. This resort, which has a capacity of 14 to 20 guests, generates a large amount of waste, but seems to have no system for disposing of it. The owners drive a BMW, but their female staff on motorbikes are seen carrying huge garbage sacks and wobbling down the road. It is not surprising that they dump them as soon as they see an opportunity. 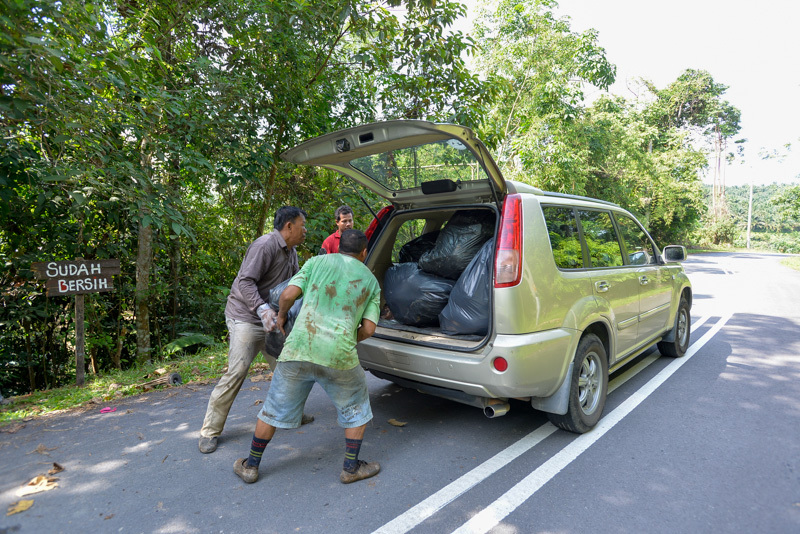 Other residents on Pantai Hills send their garbage down to the bin at Pekan Pantai and to the recycling yard in Sikamat. Some are composting all food waste. This resort, which bills itself as the ‘ultimate forest getaway’ with the ‘jungle stream’ as one of its attractions, is polluting the same stream. The Batang Penar river has been a favorite picnic spot for Seremban people for decades. Is it now a potential place where they will contract dengue or leptospirosis??? We had a great day at the clean up. Did our part as concerned citizens. Its horrendous and shameful that some people have no regards for the environment. The garbage disposed here attracts rats and naturally bring diseases…letrosprosis is a big concern here. We all use the stream here for picnics and I will not be doing so in fear of contracting this disease.